D.J. Brown pitched a career-high 7 2/3 innings and held Frederick to only four baserunners all afternoon while Lynchburg’s offense continued to roll, scoring nine runs on eight hits to claim a 9-1 victory Sunday at Nymeo Field at Harry Grove Stadium. D.J. Brown struck out three batters and limited Frederick to four hits during the game. The only run came on a solo homer by Trey Mancini in the first. Ironically, Brown’s previous career-long outing was against the Hillcats while he was still a member of the Carolina Mudcats. He threw 6 2/3 innings against Lynchburg on May 14, 2014. Brown only needed 89 pitches, 62 of which were strikes, to complete 7 2/3 innings against the Keys. Luigi Rodriguez walked to begin the game and promptly stole his 12th base of the year to move into scoring position for Paul Hendrix two batters later. Lynchburg’s 1-0 lead didn’t last long, as Mancini homered in the home half of the frame, but the Hillcats quickly built a lead again in the third. Lynchburg scored five runs on only one hit in the third inning. Five batters earned walks against former Hillcat Jarett Miller, and all five came around to score. Clint Frazier, Nellie Rodriguez, and Mike Papi walked initially to load the bases. With two outs, Alex Monsalve drew a walk to bring home Frazier and break a 1-1 tie. One batter later, James Roberts notched his 11th RBI of the year with a bases-loaded walk. 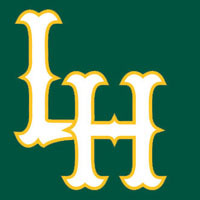 With the bases still full, Ivan Castillo singled up the middle for a pair of RBIs, and Roberts also scored on the play after a throwing error by Josh Hart to make it 6-1 in favor of Lynchburg. Lynchburg plated a run in each of the fourth, sixth and seventh innings to extend its lead. Frazier walked to lead off the fourth and stole second base, which was his second swipe of the game and his fifth of the season. After a Nellie Rodriguez single, Frazier scored from third on a wild pitch to push the margin to 7-1. In the sixth, Hendrix singled to open the stanza, and Eric Haase doubled to left-center field for his 21st RBI of the year. Castillo added a run in the seventh after drawing a walk and scoring later on a base hit by Frazier. Eight of the Hillcats’ nine runs reached on a walk in the game. The Hillcats finished the month of May with 25 home runs, which is more than any other Carolina League team has for the entire season…Frederick has 24 home runs for the whole year, while Lynchburg has 38 total…Luigi Rodriguez ranks fourth in the Carolina League with 12 stolen bases…Lynchburg was 4-for-4 in stolen bases, as Paul Hendrix also swiped a bag in the contest…J.P. Feyereisen retired all four batters he faced and struck out the final two in his second appearance with the Hillcats..It marked his first two strikeouts at the Advanced-A level…Jarett Miller, who is the all-time strikeout leader in the Hillcats era, struck out the side in the first but finished with only three punchouts while walking a season-high six…The Hillcats drew nine walks today, which was two shy of their season-high 11, which they also achieved against Frederick on April 22. Lynchburg looks to claim its third straight at Nymeo Field at Harry Grove Stadium Monday at 7 p.m. Luis Lugo (3-2, 4.46) will start against lefty Mitch Horacek (3-5, 3.90). Fans can tune in to the action on ESPN Virginia 93.3 FM and 1320 AM as well as www.lynchburg-hillcats.com beginning at 6:40 p.m. for the Hillcats On-Deck Show.